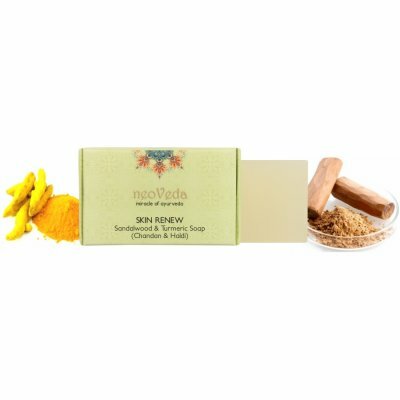 For regenerating, nourishing & beautifying face, body & hair . Keeps skin and hair soft and supple. 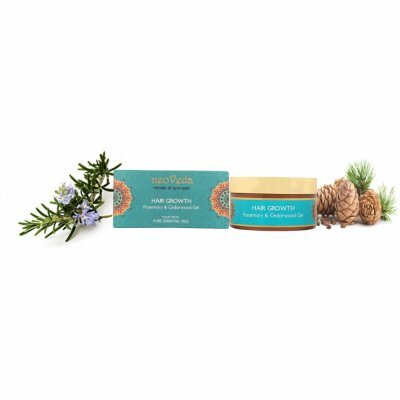 Nourishes flaky and dry skin. The oil has a pleasant aroma and spreads easily. A unique blend of natural oils make Dry Reduce Oil a lightweight formula and with speedy skin absorption. It has non greasy feel on skin so it can be also used after bath to moisturize. It contains macadamia oil that regenerates skin cell. Borage oil contains omega-6 fatty acids that promote skin & hair growth. Aloe vera, bhringraj & amla oil help to stimulate hair growth and also curb hair fall. Tomato seed oil keeps skin fresh, rosy and glowing. Black currant oil nourishes dry and damaged skin. 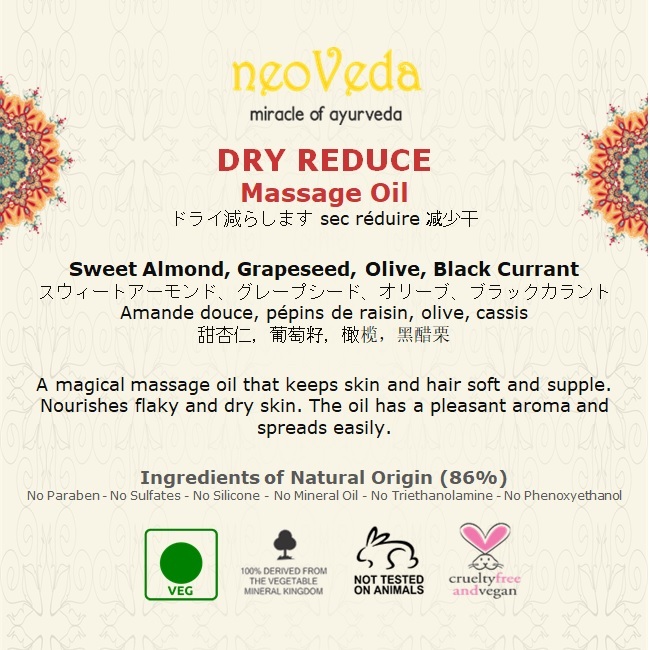 Coco Caprylate-Caprate*, Sesamum Indicum (Sesame) Seed Oil*, Caprylic/Capric Triglyceride*, Dicaprylyl Carbonate, Macadamia Integrifolia Seed Oil*, Prunus Amygdalus Dulcis (Sweet Almond) Oil*, Olea Europaea (Olive) Oil*, Helianthus Annuus (Sunflower) Seed Oil*, Vitis Vinifera (Grape) Seed Oil*, Corylus Avellana (Hazel)Seed Oil*, Fragrance, Oenothera Biennis (Evening Primrose) Oil*, Borago Officinalis (Borage) Seed Oil*, Tocopheryl Acetate, Aloe Barbadensis Extract*, Eclipta Prostata Leaf Oil*, Emblica Officinalis Fruit Extract*, Fragrance, Ribes Nigrum (Black Currant) Oil* & Solanum Lycopersicum (Tomato) Seed Oil*. Massage the body for a deeply nourished skin with a delicate scent. After Sun exposure for a beautiful tan. Apply slightly to face or mix a few drops with daily cream for a soft and protected skin. Use as a mask for an intensive hydration treatment. Apply to dry or damp hair lengths or ends, to bring it suppleness and shine. Use before shampoo as a mask for nourished and repaired hair.